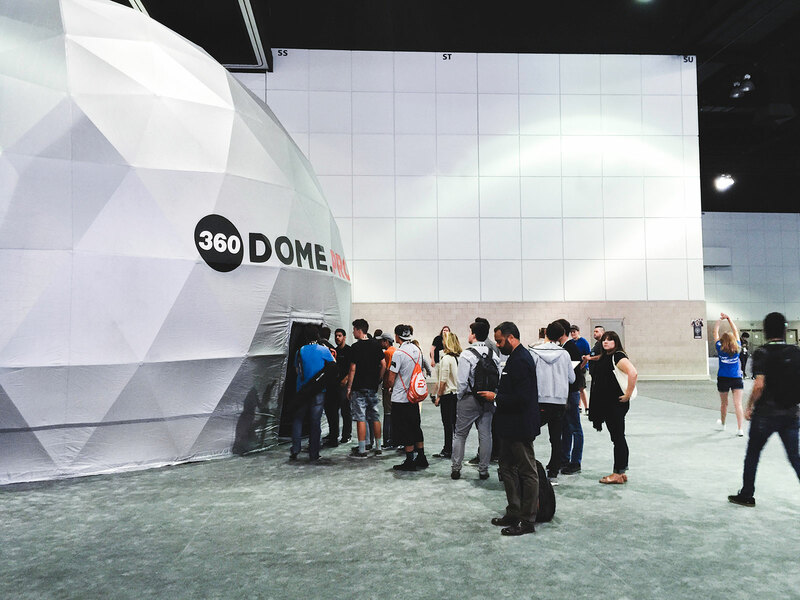 In June 2016, Fulldome.pro had five domes on display at the E3 Expo in Los Angeles, California, surrounded by industry giants like Warner Bros. Entertainment, Ubisoft, and Alienware. 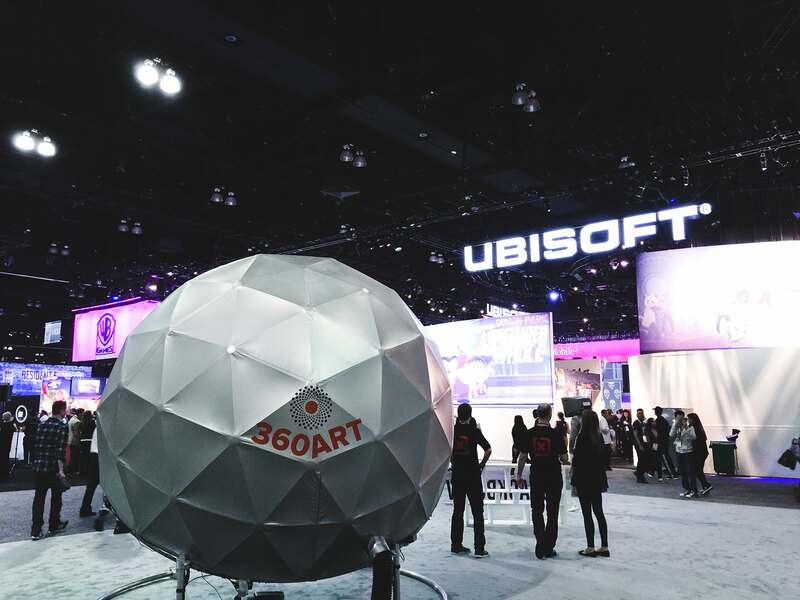 It was our first trip to E3 and we were there to show how domes are the next step in the evolution of 360 and VR entertainment and gaming. 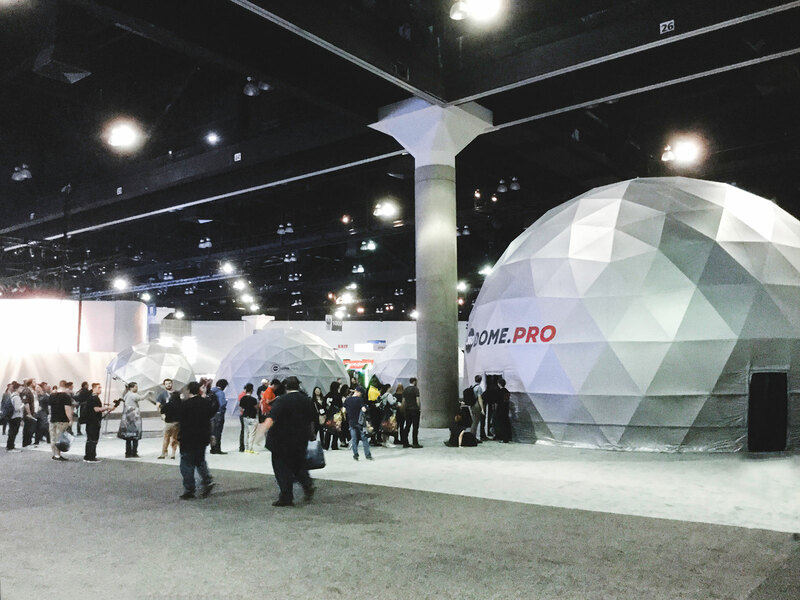 Over 50,000 people attended the three-day expo which explains why there was always a queue to see what was going on inside the 12 meter dome and a constant stream of visitors popping their heads into 1.6 meter Nano Dome, designed for personal home gaming. Android Jones was on hand to support Samskara including an interactive version created for the HTC Vive. He also gave demonstrations of FlowMotion, a live painting tool he had been working on. 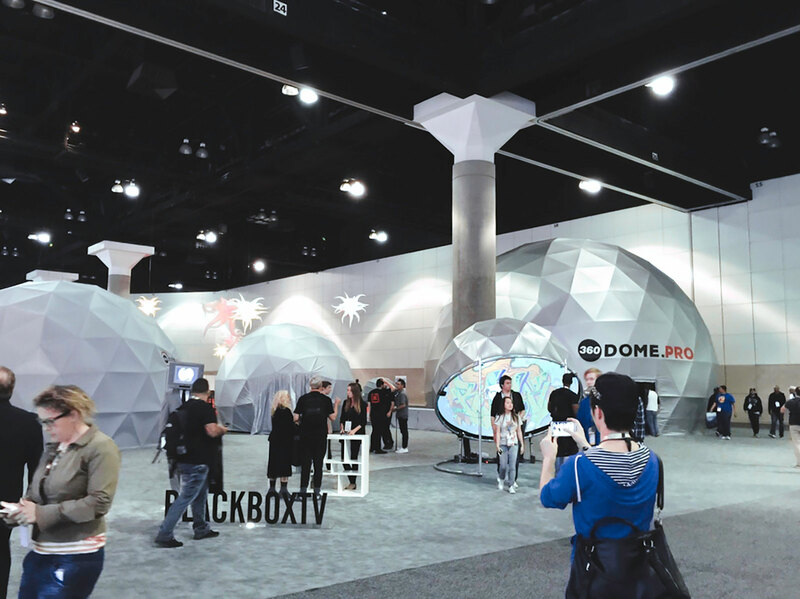 BlackBoxTV, makers of thriller, horror and sci-fi films for YouTube, provided some of their 360 content in dome format. 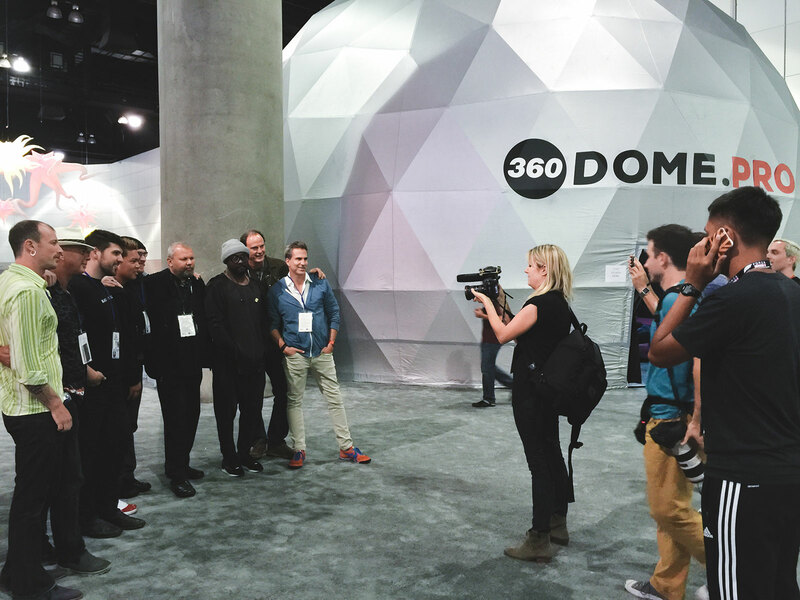 They have been working with us to explore the immersive possibilities of dome projection. 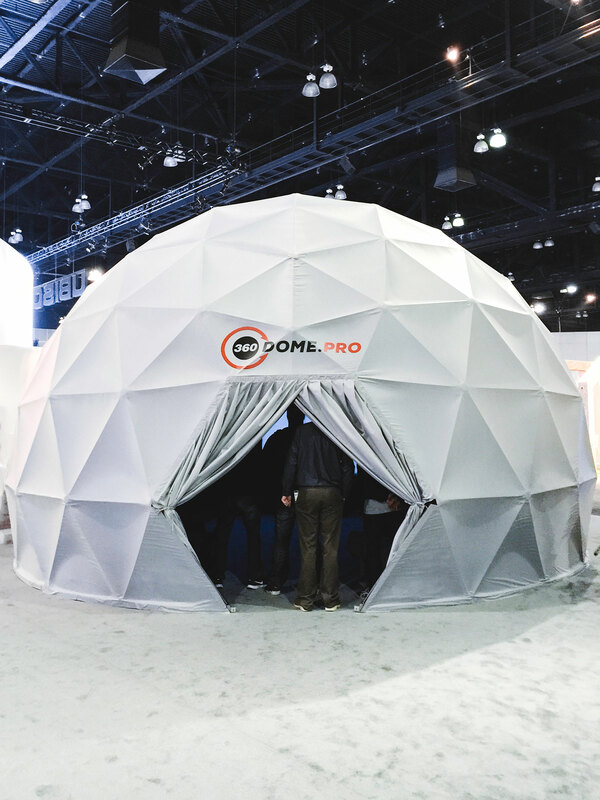 We also featured Labyrinth from Free Range Games, the marriage of a collectible card game and a tactical turn-based role playing game, as just one example of how domes can be used to make gaming a more immersive experience.